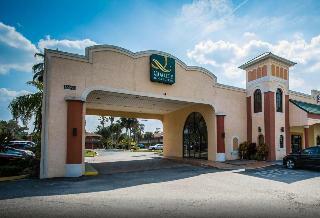 This hotel is situated just a short distance away from Disneyworld and Celebration City, in Kissimmee. The hotel lies close to the vibrant Old Town. A host of attractions are located within easy access of this charming hotel. A number of restaurants and bars can be found nearby. The hotel enjoys a classical American style, offering comfort and excitement in a wonderful setting. The guest rooms are superbly designed, offering a relaxed space in which to completely unwind in comfort. Featuring a range of exemplary facilities and services, this hotel delivers the utmost in comfort and convenience, complemented by impeccable attention to detail and warm hospitality. 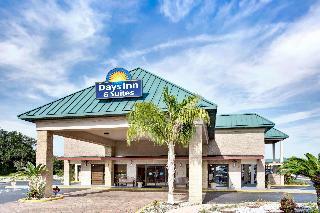 The Days Inn And Suites enjoys a convenient location only a few minutes away from Orlando International Airport. World-famous attractions such as Universal Studios, Islands of Adventure, Disney World Resort, Downtown Disney, Holy Land Experience, Wet'n Wild Waterpark, Ripley's Believe It Or Not Odditorium and Mary, Queen of the Universe Shrine can be reached within a short drive. The hotel welcomes guests in a relaxed atmosphere. The rooms are cosy and comfortable and decorated in a classic style. Features include air-conditioning, complimentary wireless internet access and cable-/satellite-TV. 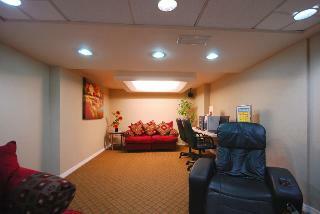 Business guests will appreciate the business centre and the meeting facilities. Guests can enjoy an invigorating work-out in the fitness centre, take a refreshing dip in the outdoor pool or just relax in the hot tub. A great choice for guests wishing to stay close to the airport. This is a perfect location whether for business, and leisure. 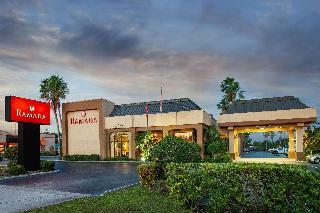 The hotel is minutes from Sea World, Universal Studios, Walt Disney World, and several golf courses. This air-conditioned hotel offers high-speed wireless Internet in all rooms and the lobby, free continental breakfast and a beautiful tropical courtyard. All rooms have coffee makers, safe, iron, ironing board, hairdryer and cable TV. Suites include refrigerator, microwave, 2 TVs, sofa bed, and 2 bathrooms. There are a 24-hour reception, hotel safe, conference facilities, and car park. Laundry facilities are available, for a fee. City centre - 0.010 Km. Bus/Train station - 0.019 Km. Nearest Bus / Metro Stop - 0.070 Km. Golf course - 6.900 Km. 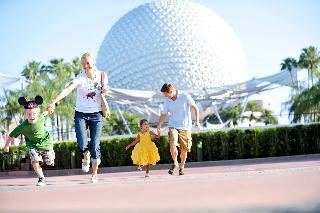 The hotel is conveniently located less than 5 km from Walt Disney World amusement park and Epcot theme park. This hotel is just minutes from popular attractions like Universal Studios Florida, Islands of Adventure theme park, Wet 'n Wild, and SeaWorld Orlando. 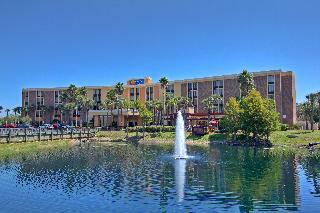 The hotel is within walking distance from several shopping centers and a variety of restaurants. There is also a golf course located 1.5 km from the hotel. City centre - 10.800 Km. In the heart of Kissimmee's tourist centre, surrounded by shops and entertainment venues, 1.6 km away from Disney World, 20-minutes from Sea World and Universal Studios, and about a 1-hour drive from the beach, the 7-storey hotel welcomes guests into the foyer, where they will find the 24-hour reception desk, the hotel safe, a currency exchange counter, and the lift. Public internet access is by the souvenir shop and the games room. There is a bar, a restaurant, and modern conference facilities for business travelers. For a fee, guests may use the laundry room. Parking is available to guests. Golf course - 3.500 Km. This eco-friendly Orlando hotel is only 1 mile from the Florida Mall. Less than a 10-minute drive the guests can find the Universal Studios. 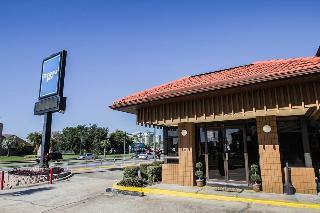 The completely non-smoking hotel offers free Wi-Fi and free on-site parking. 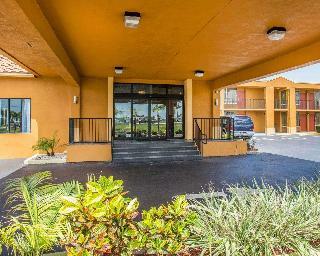 Within 15 drive to Orlando International Airport. The travellers are offered elegant rooms which feature work desk and ironing facilities. Most units offer a microwave and a refrigerator. SeaWorld and Universal Studios are within a 10-minute drive. The Orange County Convention Center and Orlando International Airport are 5 miles away. 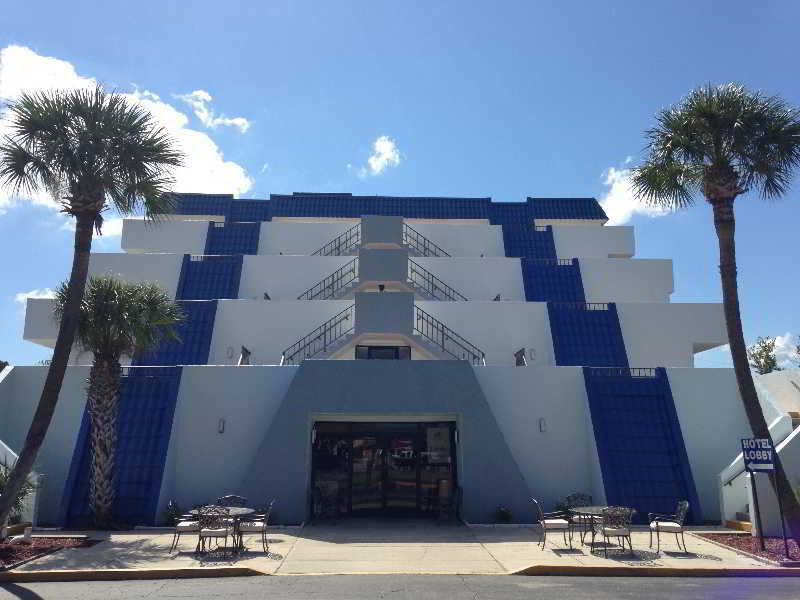 The hotel is situated nearby the Orlando amusement parks. Just off of Interstate 4, it's an easy drive to destinations including Disney World, SeaWorld Orlando and numerous other parks. There are also plenty of golf courses nearby. The Orlando International Airport is not far from the hotel. It can be reached via private car and the nearby Interstate highway. Clean, comfortable, efficient, the hotel wants to help guest feel at home as much as possible when they're on the road. Experience a warm, inviting, and family-oriented lodging choice at a reasonable price. 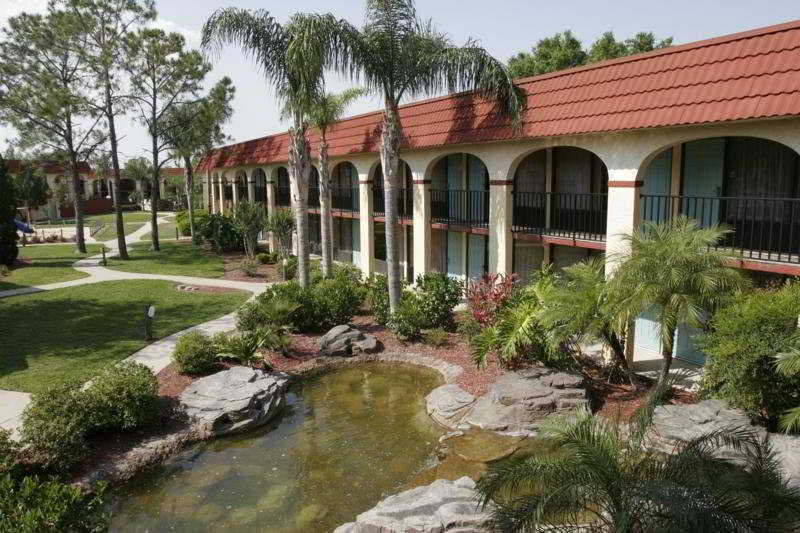 This family-friendly hotel is located around 6.5 km from the Walt Disney World Resort. All the main attractions are less than 15 minutes away. Renovated in 2003, this air-conditioned hotel comprises a five-storey main building and 2 five-storey annexes with a combined total of 222 rooms. The lobby houses a 24-hour reception desk, a hotel safe, a cloakroom, a gift shop, and a lift. The hotel also features a newspaper stand, a bar, a games room, Coconut Willie's Lounge, and an air-conditioned Ã la carte restaurant. Laundry facilities are on offer for an additional fee. A car park is available for those arriving by car. All of the rooms come with ironing equipment, a coffee machine, a fridge, a microwave, and bathroom with shower, bath and hairdryer. Further fittings in the carpeted rooms include a direct dial telephone, satellite/ cable TV, a radio and a double bed. The air conditioning and heating may be individually adjusted. In the grounds of the hotel is a outdoor pool and a balcony off the breakfast room. Continental breakfast is served (free of charge). The hotel also sells hot breakfast items. Nearest Bus / Metro Stop - 0.020 Km. Golf course - 4.700 Km. 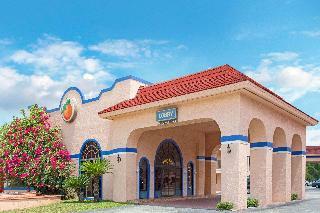 Situated in Orlando, the motel is close to Florida Mall. Area attractions also include SeaWorld Orlando and Universal Studios Orlando. The motel offers a restaurant. Public areas are equipped with high-speed wireless Internet access (surcharge). 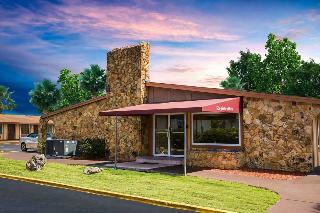 The pet-friendly motel also offers barbecue grills, coffee in the lobby, and concierge services. A roundtrip airport shuttle at scheduled times and an area shuttle are complimentary for guests. Air-conditioned accommodations at the hotel offer safes and complimentary newspapers. Cable television is provided. Guests can surf the web using the complimentary wireless high-speed Internet access. Additionally, rooms include coffee/tea makers and irons/ironing boards. Recreational amenities at the motel include an outdoor pool, a fitness facility, and a kiddie pool. The hotel offers guests a complimentary continental breakfast. From Orlando International Airport: Head east on Airport Blvd.Continue onto Jeff Fuqua Blvd.Continue onto S Semoran Blvd N.Take the ramp onto FL-528 W.Take exit 4 for Florida's Turnpike toward US-17/ US-92/ US-441/ Orange Blossom Tr.Turn right onto Co Rd 527A/ W Landstreet Rd.Take the 1st right onto FL-600 W/ US-17 S/ US-441 S/ US-92 W/ S Orange Blossom Trail. Destination will be on left. Nearest Bus / Metro Stop - 126.390 Km. Golf course - 15.390 Km.